1. This Lonely one-piece that would look good on any body. Get it here for $190.48. 2. And this fancy white number that's pretty bloody cute. Get it here for $75. 3. This golden swimsuit that's flashy af. Get it here for $169. 4. This swimsuit that Robyn Lawley designed. Get it here for $159.95. 5. This white lace-up cossie from Bras n Things. 6. 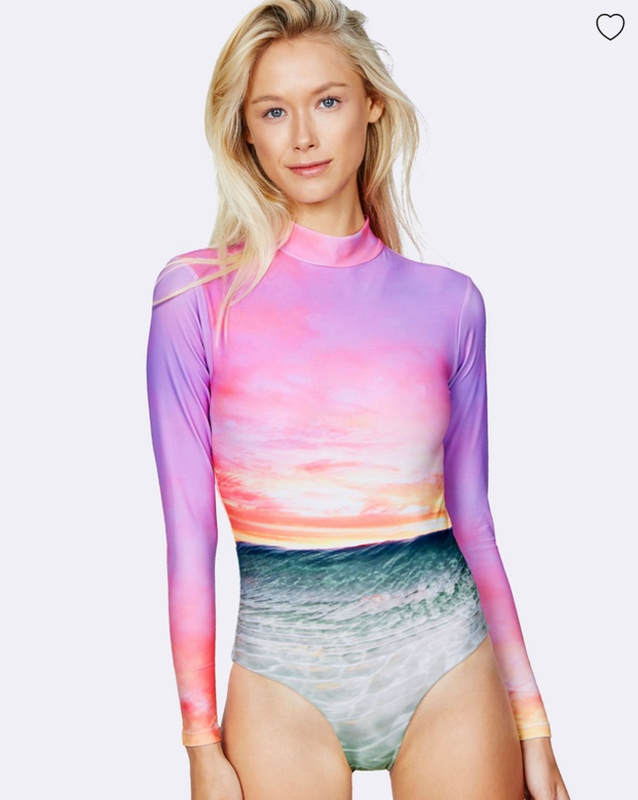 And this perfect swimming staple from Asos. Get it here for $55. 7. This playsuit that won't come undone in the waves. 8. This Nookie swimsuit that's all party in the back. 9. This practical but pretty black one-piece. Get it here for $90. 10. And this long-sleeve one that will match the sunset. Get it here for $200. 11. This black design that will make you feel classy as hell. 12. And this black and white one that won't go out of style. Get it here for $132. 13. This pastel Mink Pink one-piece with a cut-out back. Get it here for $99.95. Get it here for $38.50. 15. And this Baku swimsuit that has cut-out sides. Get it here for $179.95. 16. This Asos cossie that will satisfy your pom pom addiction. 17. And this Jets one-piece that's better than any bikini you've ever owned. Get it here for $165.